After a particularly long winter, we are finally seeing spring in Toronto. The temperatures may have been cold over the past few months, but the housing market has been nothing short of hot. The average price jumped by nine percent in February and sales increased by 2.1 percent from 12 months ago. Canadians are responding to the heat in some interesting ways. According to the results of a survey conducted by Pollara for BMO, over one-third of respondents said that they are prepared to step up and enter a bidding war to get the property they want, compared with 21 percent just 12 months ago. The survey also found that would-be homeowners in Toronto were most willing to be aggressive about taking that step, with 44 percent saying they would bid it out to get the home they had their heart set on. This level of heat in the market is not going to last forever, and some analysts are already suggesting that prices on the Canadian market will drop by as much as 20 percent over the next half-decade. The International Monetary Fund and TD economists have already said that Canadian house prices are already too high by a margin of 10 percent. 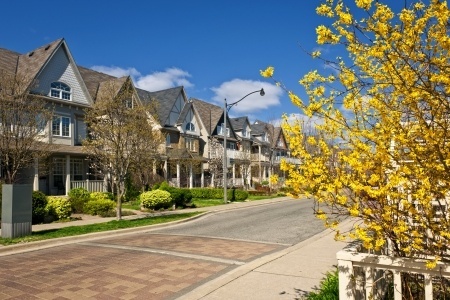 What does this mean for homeowners in the GTA? If you are considering putting your house up for sale, you may want to make your move now. With demand for single family homes being very strong right now, you will be able to fetch top dollar for your home. If you are considering downsizing to a condo or relocating to another area, you could end up with some cash in your pocket after the sale is completed. This entry was posted in Richmond Hill Realty and tagged Toronto Home Sales, Toronto Homes, Toronto Real Estate, Toronto Realtor, Toronto Realty. Bookmark the permalink.